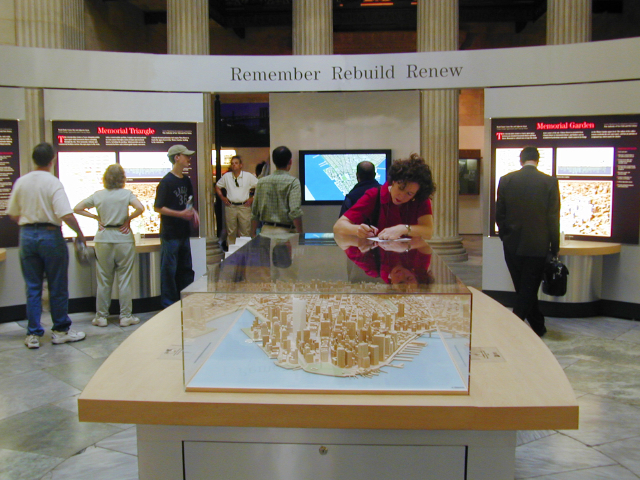 In the aftermath of 9/11 the Port Authority of New York and New Jersey hired Beyer Blinder Bell Architects to develop initial recommendations for the redevelopment of the 16-acre World Trade Center site. 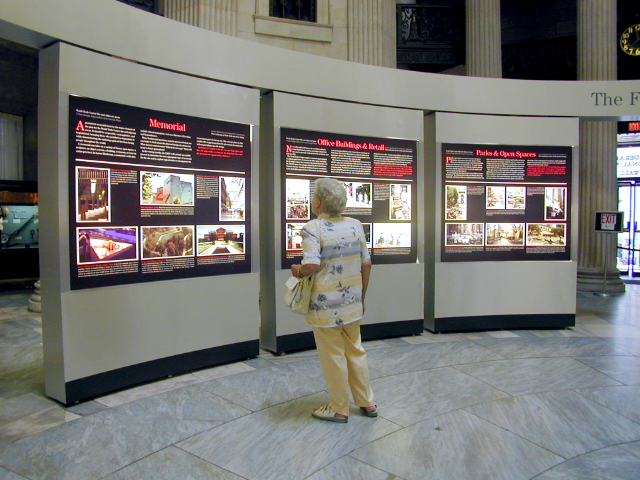 Ring of Remembrance presented these plans to the public at Federal Hall in June 2002. 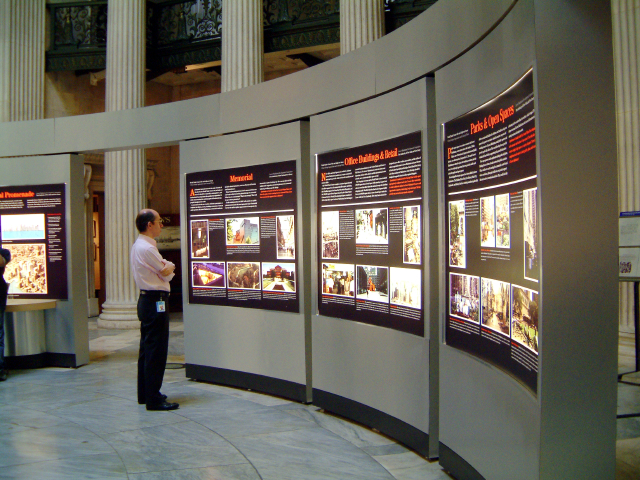 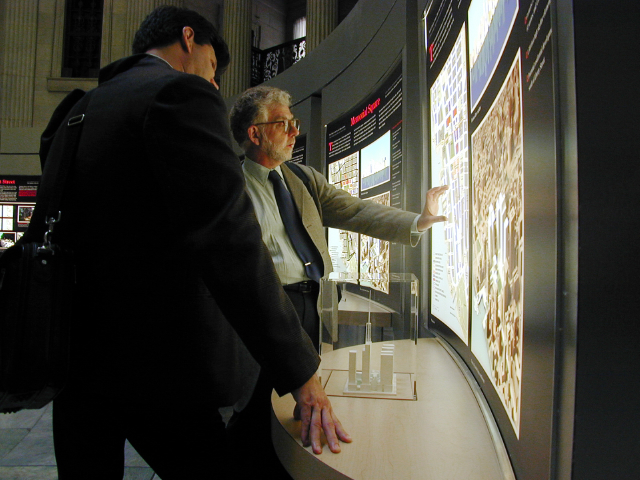 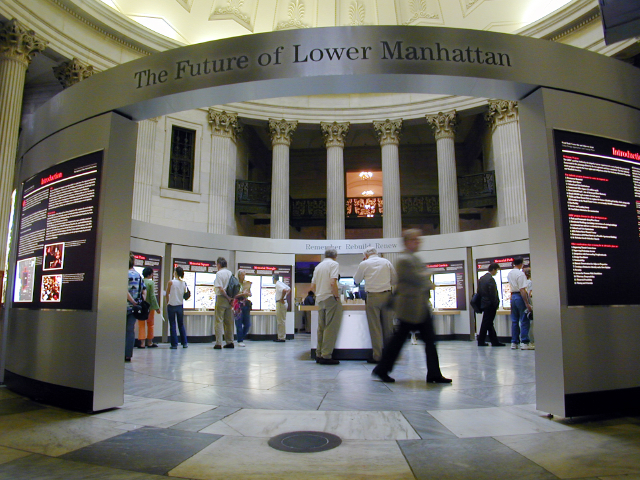 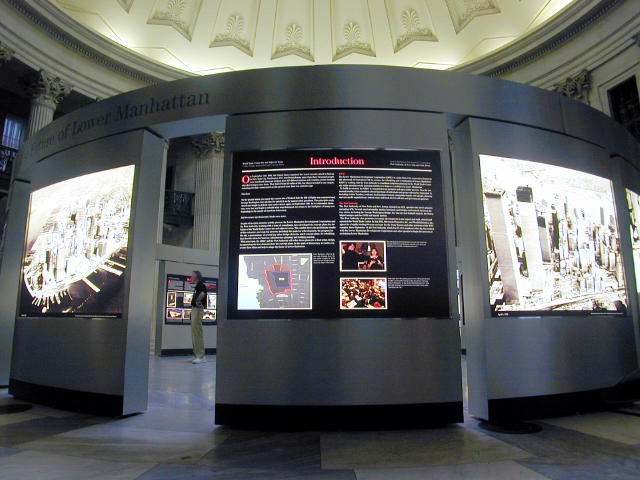 This exhibit, installed at Federal Hall, showcased a 60-year history of the development of lower Manhattan. 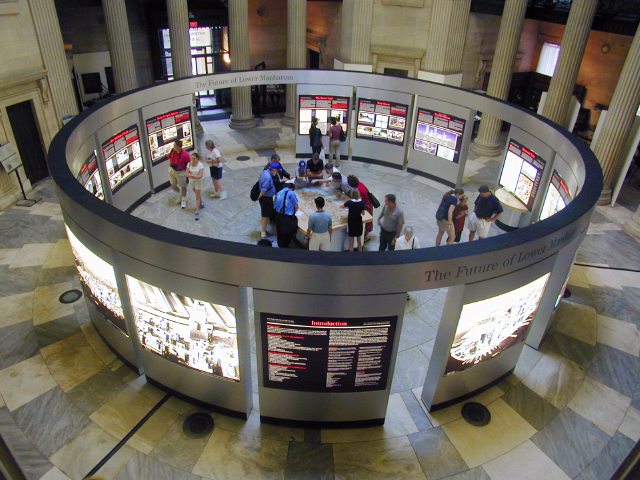 The interior displayed the six concept site plans and programs shaping the redesign efforts, along with a 3-D animation of the 6 schemes. 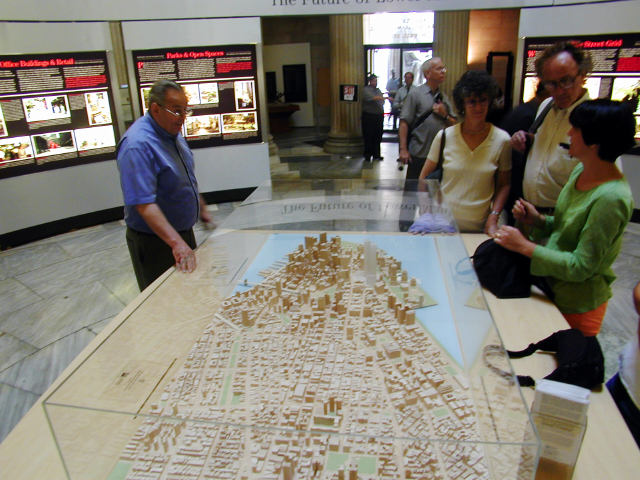 In the center of the circular exhibit, a detailed scale model of lower Manhattan showed where the World Trade Towers once stood and offered visitors the opportunity to leave their comments.The exterior graphics presented a visual history of the area.